But as the saying goes, just because you are paranoid does not mean that people are not out to get you. Republican investigators have turned up information that raises interesting questions. Let’s explore whether there is a basis for Nunes’s claim that Clinton is the ultimate villain in the Russia saga. There are many strands to the Russia probe. Let’s focus first on the role of a “dossier” of information on possible Trump-Russia ties compiled by Christopher Steele, a former British intelligence officer with ties to the FBI and the U.S. intelligence community. Steele had been tapped by Fusion GPS, a research and intelligence firm under contract to investigate Trump by Perkins Coie, a law firm working for the Clinton campaign and the Democratic National Committee. The dossier is actually a series of memos, apparently based on conversations with Russian sources, that were written between June and December 2016. A version was published by BuzzFeed shortly before Trump’s inauguration, after FBI Director James B. Comey had briefed Trump on its existence. On Feb. 2, President Trump declassified a memo written by GOP staff members of the House Intelligence Committee led by Nunes. Much of the GOP memo is about the FBI seeking a secret court order to monitor a former Trump campaign adviser, Carter Page. The order was obtained on Oct. 21, 2016, about a month after Page said he had resigned from the campaign, and was renewed at least three more times over the course of a year. The Nunes memo alleges that Steele had a bias against Trump and that the FBI did not fully inform the Foreign Intelligence Surveillance Act (FISA) court that some of the information in the filing stemmed from Steele’s “dossier” reports. The FBI, in a rare unsigned statement, said it has “grave concerns” about the accuracy of the memo. A more interesting document is a Jan. 5 letter written by Sens. Lindsey O. Graham (R-S.C.) and Sen. Charles E. Grassley (R-Iowa), chairman of the Judiciary Committee, urging the Justice Department to investigate whether criminal charges should be brought against Steele. The letter, with limited redactions, was made public after release of the Nunes memo. The letter — which says the FBI in footnotes acknowledged the political origins of the dossier — argues that Steele, with the encouragement and assistance of Fusion GPS, actively sought to get the information he believed had been uncovered into the journalistic bloodstream during the campaign — and then lied to the FBI about what he had done. One early example of reporting informed by Steele’s insights was a Yahoo News article about Page published Sept. 23, 2016, titled “U.S. intel officials probe ties between Trump adviser and Kremlin.” Key details in the report — about meetings Page allegedly held in Russia — appear to come straight out of one of Steele’s reports. The Yahoo reporter, Michael Isikoff, has since acknowledged that he spoke to Steele for the article. Steele has also acknowledged, in a court filing in London regarding a defamation suit stemming from the BuzzFeed publication of the dossier, that he briefed reporters from The Washington Post, the New York Times, Yahoo News, the New Yorker and CNN. The FBI eventually told the FISA court that it had terminated its relationship with Steele because of “unauthorized disclosure of information to the press,” the letter says. The letter further says that Steele provided the FBI with information he had received from Clinton associates also investigating Trump. Steele obtained this report from Jonathan Winer, then a State Department official, who had received it from Clinton confidant Sidney Blumenthal; the report was written by Cody Shearer, a freelance journalist who was friends with Clinton and her husband, former president Bill Clinton. Based on the available evidence, this claim quickly falls apart. The Clinton campaign, via a law firm, did seek “dirt” on Trump and Russia. Steele did rely on Russian sources, supposedly contacts mined from his years as a spy. Steele did actively seek to draw attention to what he had found, though virtually no reporters wrote about his allegations before the election because they could not confirm them. And the FBI did use Steele’s reports to help obtain a court order allowing surveillance of a Trump associate — but that was after Page had quit the campaign. For some, that may seem like a lot of smoke. But it’s a huge leap to say Clinton colluded with Russians to do this. Instead, you have (a) the campaign hiring (b) a research firm that hired (c) a researcher who spoke (d) to Russian sources. Steele, for his part, has suggested he tried to alert reporters and the FBI because he was appalled by what he had discovered. The closest connection to Clinton is the fact that Steele gave to the FBI material written by Clinton associates, but it’s unclear what the FBI did with that memo. Meanwhile, there is little dispute over the finding by U.S. intelligence agencies that Russia developed a clear preference for Trump — and that Russian entities hacked into Democratic National Committee and Clinton campaign accounts to obtain emails that were then leaked to undermine her campaign. It certainly would have been a sophisticated game of three-dimensional chess for Russia to simultaneously seek to undermine Clinton’s campaign while supplying her with information to spur an investigation of Russian activities on behalf of Trump. Finally, the Nunes memo disclosed that the FBI opened a counterintelligence operation in July 2016 because of allegations concerning another Trump adviser, George Papadopoulos. But Papadopoulos was never mentioned in any of Steele’s reports. He came to the attention of the FBI because he had told an Australian diplomat that the Russians had obtained thousands of Clinton’s emails. He has pleaded guilty to lying to the FBI and is cooperating with the special counsel. Jack Langer, spokesman for the House Intelligence Committee, did not respond to queries about Nunes’s statement on the Hewitt show. 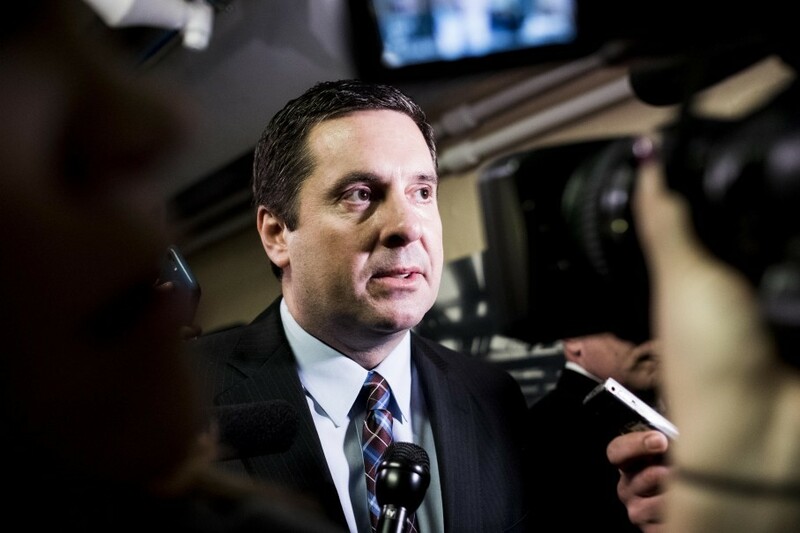 But earlier in the week, we asked him why Nunes had said Papadopoulos “never even had met with the president” when Trump himself on March 31, 2016, had circulated on social media a photo of the two men together during a meeting of Trump’s foreign-policy advisers. Presumably the same could be said for Clinton and Steele — especially since there is no known photo of the two together, let alone a known meeting. Was the dossier used to gin up media attention to Russia-Trump ties and bolster an existing FBI investigation? Perhaps. That’s certainly a question worth exploring. But the media needed little prodding to investigate when candidate Trump appeared unexpectedly solicitous of Russian President Vladimir Putin as Russian-linked entities leaked emails stolen by Russian hackers in the middle of a campaign. Meanwhile, the initial FBI counterintelligence probe was prompted not by Steele’s reporting but by the loose lips of a Trump campaign staffer. Finally, there is no evidence that Clinton was involved in Steele’s reports or worked with Russian entities to feed information to Steele. 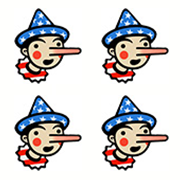 That’s where Nunes’s claim goes off the rails — and why he earns Four Pinocchios.